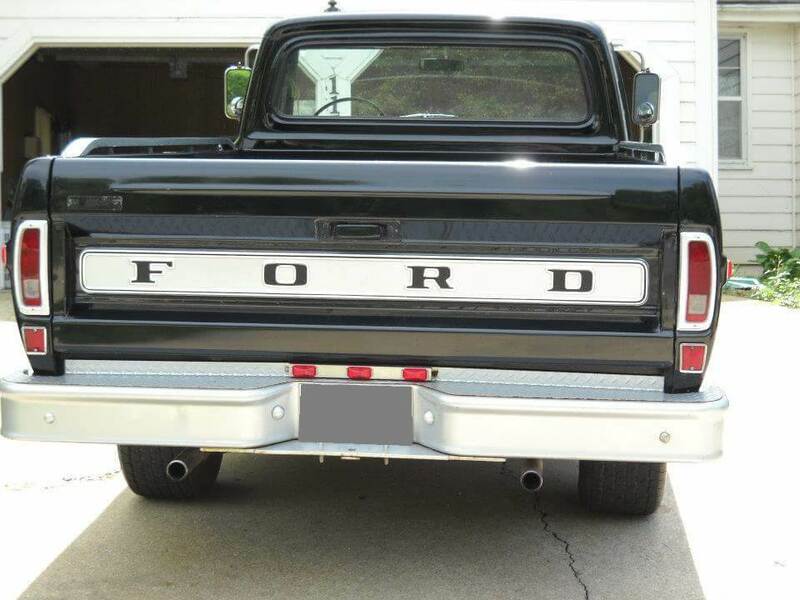 1970 Ford F-100 Sport Custom – Tony P.
My wife and I got married in 2010. 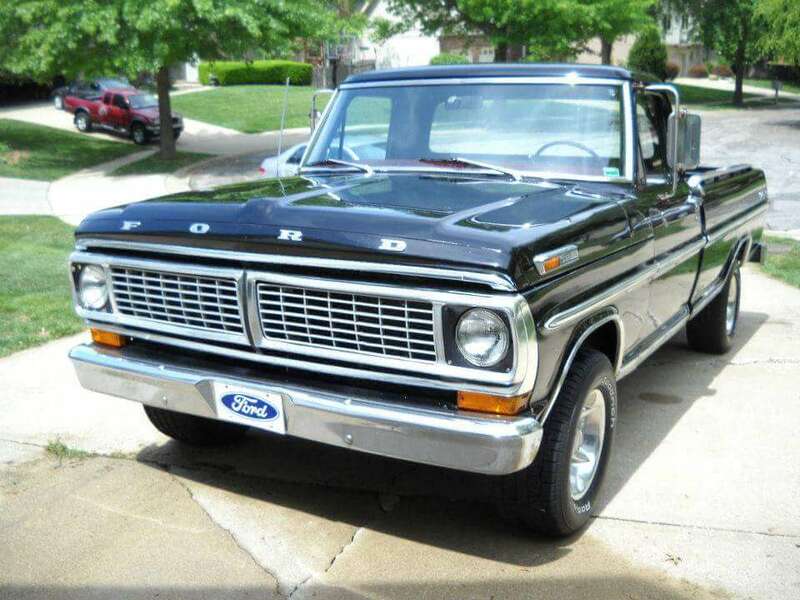 She quickly noticed how much I liked to look at old Ford trucks on eBay and Craigslist. 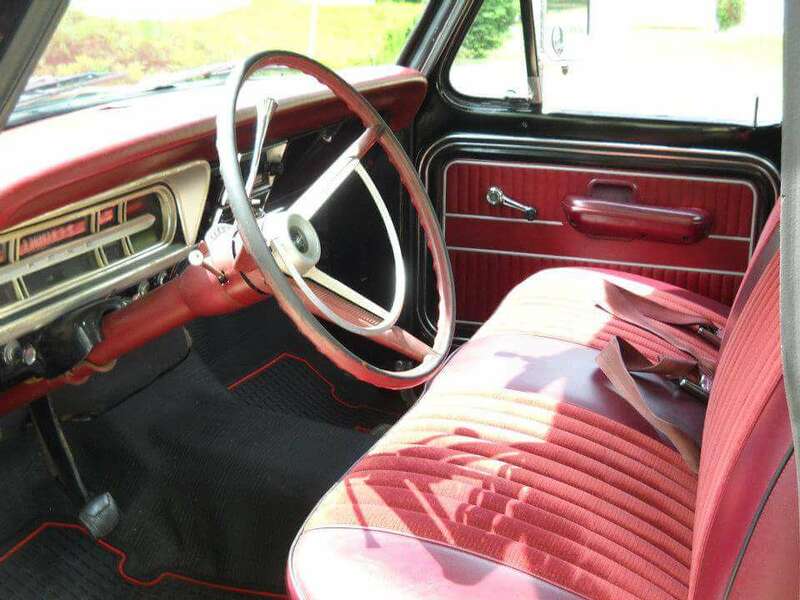 One night she said to me, “why don’t you get one?” I told her it was too much money to get one in good condition. She then told me if I could find a way to afford it I should do it. That was all I needed to hear. I paid off my daily driver with my tax refund and started the search. 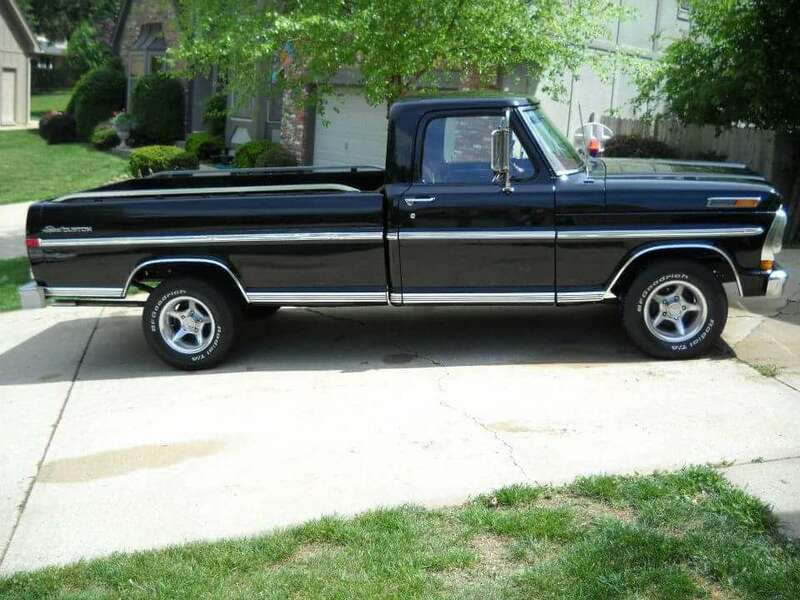 I found my truck in Troy, Illinois, on a St. Louis Craigslist listing. The guy I bought it from told me he got from a friend who owed him money and gave it to him to sell. So I gave him the $4500 he was asking and drove the four hours back to Kansas City. I have added a couple of performance upgrades; like a 650 Edelbrock Thunder carb and a Lunati Voodoo roller cam and a couple of trim pieces that were pretty beat up. Also put some old school Mickey Thompson polished aluminum valve covers on it. My wife laughs every time we drive it somewhere as it makes us instant celebrities! LMC is only about 10 miles away, so I have and will continue to use it as a resource for parts to keep my truck looking good!